How invertebral disc pressure varies with body position. Sitting (Bad Posture) – 265 kg Pressure. 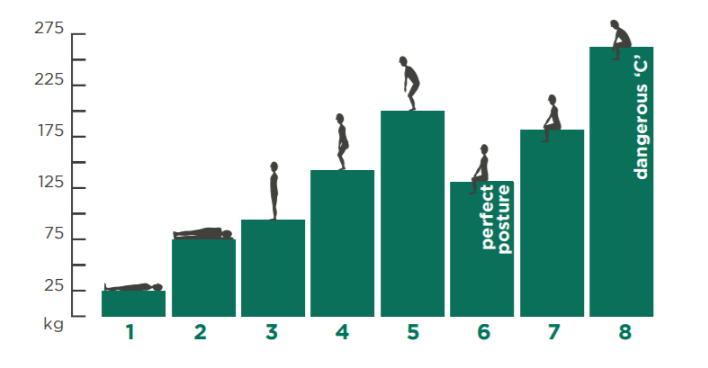 Lying (on back), standing (good posture) and sitting (good posture) causes least possible pressure in the discs. 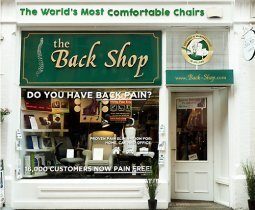 Sitting (bad posture), particularly for long periods, causes most pressure in the spine (10 times the pressure as sleeping).